Sunday Silliness | Watts Up With That? Here’s a hilarious green/AGW spoof of the opening theme of the 60’s TV show Green Acres, which was itself a spoof of the famous painting, American Gothic, one of the few paintings to reach the status of cultural icon (like hockey sticks have become for the climate debate). This YouTube video parody is complete with hockey sticks, CRU, Phil Jones, polar bears, and lots of Gore. No mention of who might play Mr. Haney if this spoof ever becomes a TV series itself. 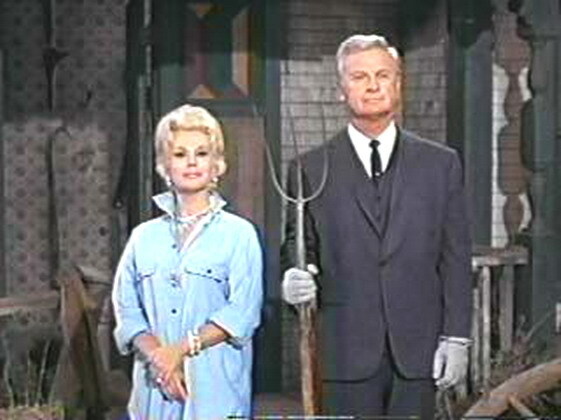 It seems almost sacrilege to use the Green Acres theme song to make a parody of AGW. The TV show was wildly funny satire yet had an innocence about it that was never cynical. 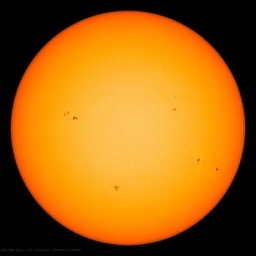 The political campaign of fear waged by the adherents of AGW seems at times to be the epitome of cynical. Meh. Somehow, it misses the mark. Perhaps they could take lessons from M4GW. Humor is a delicate thing. If CAGW was a movie, it would have a future in MST3K. Used to watch Green Acres with my dad whose since died. I loved that show. I now watch another one of my dad’s favorites in DVD ” All in the Family”. It’s funny, I’m finding I tend to “now” agree with Archie Bunker more & more. I love to see him in his tender moments where he truly loves his Dingbat wife Edith. My favorite episode of Green Acres involved a lawsuit by Haney against Mr. Douglass for failing to pay for an Indian rain dance that ended a drought. Mr. Douglas was having his car washed by one of Haney’s minions and kept refusing to pay for the rain dance Haney was pushing on him. In the background Haney’s Indian was doing his rain dance. At that point it started to rain and Haney demanded payment for the rain dance. In the courtroom, Mr. Douglass won because he claimed he had already paid Mr. Haney for ending the drought when he paid for the car wash. Everybody knows washing your car will cause it to rain. If Gore is playing both Oliver and Lisa Douglas, why not have him play Mr. Haney too, and while we’re at it, Arnold the Pig. Our suburban neighborhood near DFW is not unlike Hootersville. The people with ATT don’t get good reception in their homes, so they have to walk outside to talk on their cell phones. Amazing the progress we’ve made in the past 45 years–we’ve eliminated the need to climb the pole. Even though I was 9 I don’t remember the black and white show. Green Acres was one of the funniest shows ever on TV. Arnold the pig was the only rational character on the show. Now that I think of it, I bet that “Green Acres” has never been shown in any Muslim country. Looks like our friends over at Google worship Gaea, but don’t care that much about that Jesus Christ guy. They changed their logo for Earth Day, but haven’t so far for Easter. We sorta gravitated towards Hee Haw in this isolated county of Oregon. They all just seemed so much like…us. We no more get excited about weather pattern variation than the sleeping hillbilly gents did when a good lookin woman walked by. If they weren’t a-layin in that direction, it took too much energy to flip over. Thanks, Anthony! Great memories….”Green Acres” was set in downstate rural Illinois, and I’m happy to report, nothing has changed since then. The original parody was spot on! The AGW parody is nicely done also. Never did see an Illinois farm-gal who quite looked like Eva, however…. I have to agree that it’s not in the same league with most of the M4GW parodies, but still well done. Though I liked Green Acres and remember it all too well (I can sing the opening jingle from memory), I preferred Bewitched and I Dream of Jeannie (Barbara Eden was HOT). A lot funnier than the post, Mike. Does this mean that Al Gore no longer has enough cred to sue? The best Green Acres episode I remember is when Arnold gets expelled from school for shooting a spitwad or some such prank. I can’t find that one, but here’s the first of 3 parts of an episode where Arnold gets drafted. Wow that takes me back. The parody is terrific!